On the 29th January 2015, the Nursing and Midwifery Council (NMC) launched ‘The Revised Code – Professional standards of practice and behaviour for nurses and midwives’ (http://www.nmc-uk.org/The-revised-Code/) that many of you reading this blog may have contributed to, via the online consultation, Twitter chats or by attending events over the past year. Although the Revised Code was launched on 29th January, it comes into effect from 31 March 2015. From that date nurses and midwives registered in the UK must practise in line with the updated Code of professional standards of practice and behaviour. The 2015 Code, which will replace the 2008 NMC Code, has been updated to reflect changes in contemporary professional nursing and midwifery practice, and wider societal expectations of health and social care. It’s underlying aim is to drive continuous improvement in the quality and safety of care. 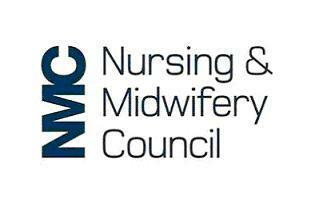 The NMC worked extensively with stakeholders to develop the updated Code, here in Scotland and across the UK (see a previous Fiona McQueen blog). All nurses and midwives practising in the UK will need to continue to demonstrate that they meet professional standards, using the new Code, in order to maintain their position on the NMC Register. The NMC will be raising awareness with patients and the public that their nurse or midwife is subject to the Code, which directs nurses to prioritise people; practice effectively; preserve safety and promote professionalism and trust. The Code comes into effect on the 31st March. Hard copies will be sent, by the NMC, to every registered nurse and midwife. They will also work to raise awareness with employers of their duty when employing a registered professional. For Registered Nurses and Midwives, the Code represents the professions’ core standards to meet at the point of registration and throughout their careers. This is to ensure they continue to maintain the NMC standards of good conduct and practice. 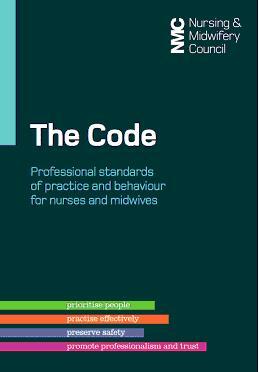 The Code sets the principles of what the public should expect from a nurse and midwife. It also defines what it means to be a regulated professional. The Code has little to do with specific tasks or clinical procedures. It is not about the detail in a nurse’s or midwife’s clinical expertise. It is about conduct, behaviour, ethics and professionalism. Within the current regulatory landscape, the 2008 Code tends to be used either as a tool for educating prospective nurses and midwives or for addressing fitness to practise issues as part of disciplinary processes. The NMC revalidation model (introduced in January 2016) intends to take the Code further and position it at the heart of everyday nursing and midwifery practice. The Revised 2015 Code should not only be used as a tool for learning or used to assess and address poor practice. It should instead provide the opportunity to confirm practice and celebrate professionalism. The NMC’s proposed revalidation model brings back to the heart of nursing and midwifery the value of reflection in the Code. The proposed self-confirmation model is based on every nurse and midwife specifically reflecting on their practice against the Code. Feedback from peers and users will be on how nurses and midwives uphold their professional standards as set out in their Code. And a third party confirmation as part of an existing employer process, such as appraisal, will focus on how nurses and midwives follow their code of conduct. Bringing the Code closer to everyday practice will, it is hoped, marry regulation and professionalism with performance in employment. Existing employer processes normally focus on assessing an individual’s performance against their specific job requirements and objectives. Revalidation will enhance this by requiring individual nurses and midwives to reflect on their adherence to their professional code as well as their performance against their job objectives – and as a result reflect on their professionalism and the standards that underpin them as regulated professionals. We know that NHS Tayside is going to be one of the pilot organisations for the new model of revalidation. The pilot period is for NHS Tayside to ensure the model is fit for purpose, to develop processes, structures and tools to be implemented across Scotland (and beyond) to support nursing and midwifery staff to meet the requirements of revalidation from the 1st of January 2016. There is an opportunity to get involved in the conversation around revalidation with the Chief Nursing Officer for Scotland (Fiona McQueen) and the Chief Executive and Registrar of the NMC (Jackie Smith). Perhaps colleagues in NHS Tayside will join in and share their experience. 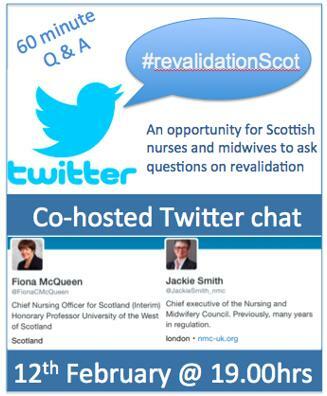 There will be a live chat on Twitter using the hash tag #revalidationScot – co-hosted by the Chief Nursing Officer for Scotland and the Chief Executive & Registrar of the NMC, on Thursday 12th February at 19.00hrs – 20.00hrs. This entry was posted in Uncategorized and tagged Midwifery, nursing, Patient safety, Professional standards, Quality of care. Bookmark the permalink.